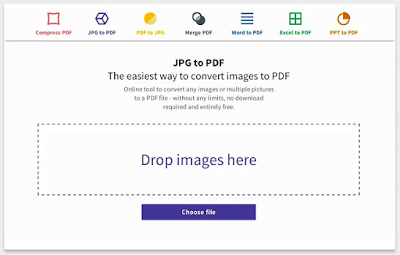 Image to PDF Converter is a wonderful tool from Smallpdf that you can use to easily convert images to beautiful PDFs. The tool is free and simple to use. It also supports major popular image formats including JPG, Gif, Bmp, PNG and tiff files. We have tried it different with different image files and it did a great job. To start converting your images, you simply drag and drop them into the box in the middle of the page, try out some settings then click on ‘Download file now’. You can also choose to save your PDF to Dropbox or Google Drive. Image to PDF Converter does not store any of your files in its servers. 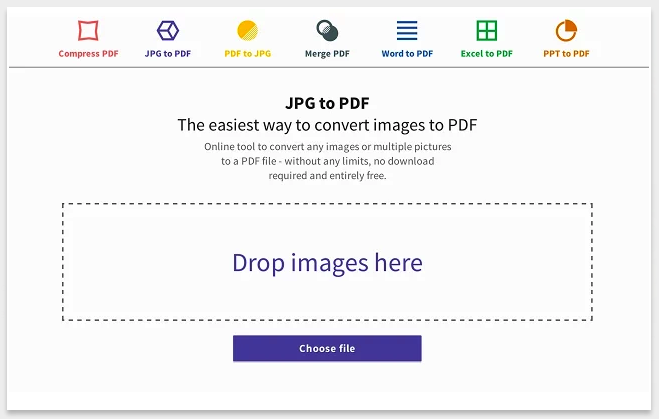 Once the conversion process is over, your JPG and PDF files are deleted permanently. The app is cloud-based which means it works across different operating systems whether its on a Mac, Windows or Linux. And if you are looking for more features, Smallpdf provides other interesting functionalities (some of them are not free though) including: converting PDF to Word, Word to PDF, Excel to PDF, PDF to Excel, PDF to PPT, and PPT to PDF.